In a surprising twist of events, the Malaysian Communications and Multimedia Commission (MCMC) has released a press statement that contradicts what the Royal Malaysia Customs and the Domestic Trade, Consumerism and Cooperatives Ministry stated earlier today. The MCMC has announced that all prepaid reloads will remain charged with an additional 6% GST on top of the reload value. What this means is that consumers will still have to pay RM10.60 for a RM10 reload value, even after 1 May…for now. 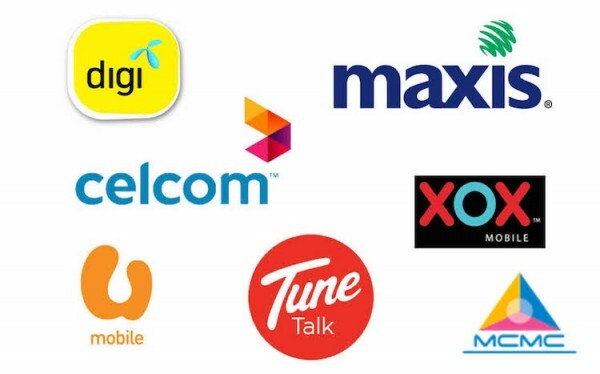 Hence, there will be no differences in prepaid reload prices next month, despite an earlier report quoting the Royal Malaysia Customs Director-General Datuk Seri Khazali Ahmad that all telcos to revert to pre-GST rates from 1 May 2015. However, there has been some confusion in the market as to whether prepaid reloads will be back to pre-GST rates from May 1. Unfortunately, it will be almost impossible for the service providers to implement the required changes in the next two days. Secondly, the results of the survey are not yet available and it may be premature to make any decisions at this point in time. Oddly enough, the MCMC’s statement says that reverting to pre-GST rates will raise “complexities in reconfiguring the systems”, which will affect not just the local telco companies, but also third-party prepaid reload retailers including financial institutions, super markets and other sales agents which come up to a total of approximately 30,000 parties. However, Dato’ Sri Halim stresses that no decision will be made until after an ongoing survey regarding prepaid reloads and GST has been completed and its findings released. The survey asks respondents whether they prefer purchasing a prepaid reload for RM10 with the 6% GST deducted in the reload value, or for RM10.60 inclusive of GST upfront. It appears that for now, nobody is certain what’s going on with prepaid reloads and GST.